We present the details of preliminary development efforts to create a tactile acoustic device (TAD) for the hands. The Model Human Cochlea (MHC) is a method for conveying sound to the body in a chair form factor, and originally developed as a sensory substitution system to provide some access to sounds from movies or music to deaf and hard of hearing people. 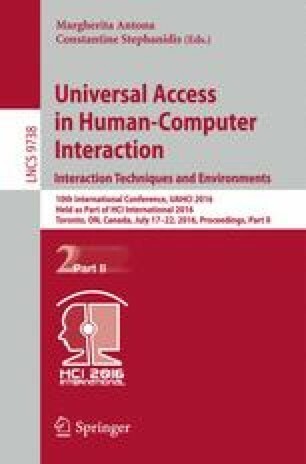 We present initial design research on modifying the MHC system from a chair to a mobile handheld tactile device, towards improving mobile-phone speech comprehension in noisy environments. Scaling the MHC from the back, which has the least sensitive skin on the body, to the highly sensitive skin on the hands, requires an understanding of the physiology, psychology, electronics, and software applicable to this kind of sensation. This research addresses factors critical to expanding the design of tactile acoustic devices for somatosensory system interactions to different areas of the body.